Few Greek and Middle Eastern restaurants achieve the harmony and versatility at Almazar in West Miami, with the right combination of affordable, delicious food in a casual, yet luxurious setting. By day, it’s bright and airy, serving a steady stream of locals, including students and staff from FIU across the street. At night, the lights are dimmed and music turned up to create an intimate, sultry environment where you can enjoy a great meal, or launch with friends on one of the stylish, comfy sofas. Beer, wine and Hookahs are available. 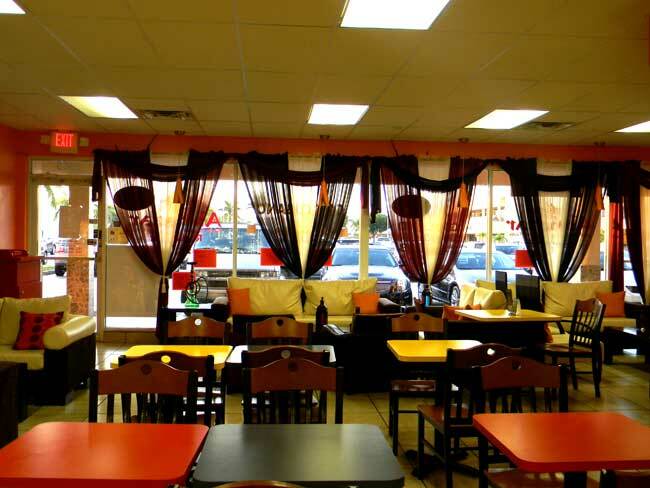 Family-owned by two Syrian brothers, Almazar’s food is spice heaven. 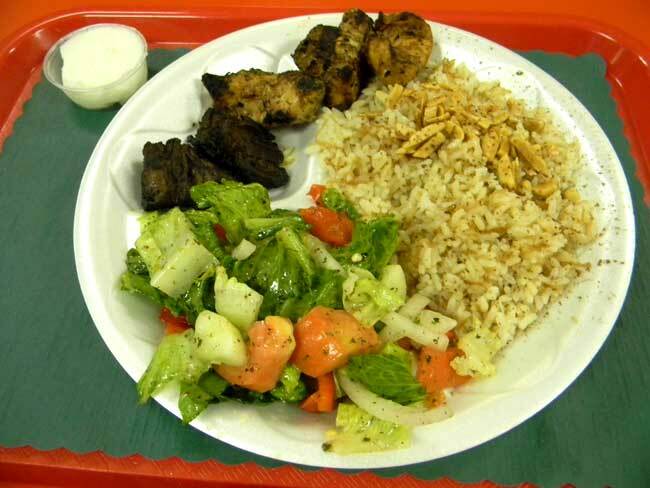 Among their best dishes is the Chicken, Kafta or Beef Kabab platter ($9.95 – $10.50), served with rice and salad. The meat is seasoned and grilled for that nice smoky flavor. It comes with a side of garlic spread, which is phenomenal. The rice is out of this world, cooked with small, thin noodles, mixed with sliced almonds and topped with a hint of Allspice. The salad – made with lettuce, cucumbers, tomatoes, red peppers, and onions – is tossed in light, homemade vinaigrette. Can’t make up your mind? Go for the Kabab Combo, which brings all three types of meat for $19.95. 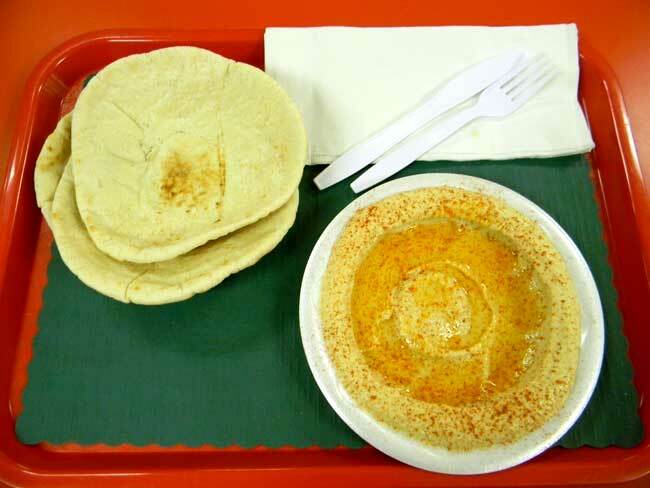 For lighter fare, try the Hummus ($4.95), drizzled with olive oil and sprinkled with Paprika. It comes with warm pita bread. Pair it with an order of Falafel ($4.95), a dish that combines ground chick peas with spices, is then deep fried and served with Tahini Sauce. Other Almazar specialties include Lentil soup ($3.50); Yogurt Salad ($3.50); Greek Salad ($7.50); Grape Leaves ($5.50 – $6.50); and Shawarma Sandwich ($7.50). Desserts include two types of Baklava, Lady Fingers and Mamoul pistachios, walnuts and dates. Choose any for $1.50. Almazar also features a small inventory of imported goodies from the Middle East, including hip scarves. 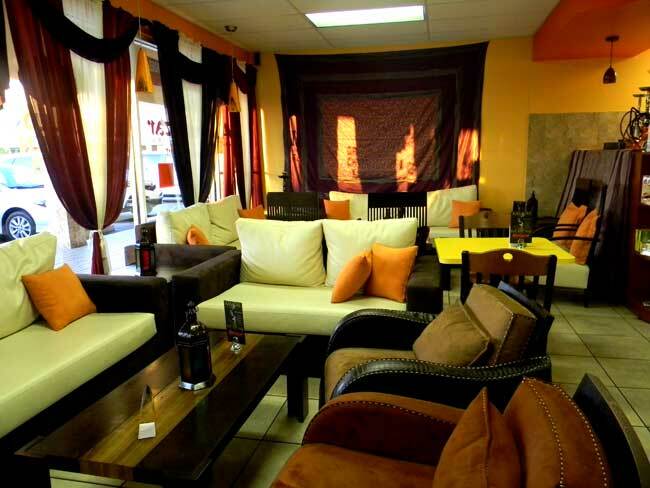 Whatever the mood, or special occasion, stop by Almazar for a royal dining experience. And don’t forget to tell the brothers you read about them on Great Food List. Monday through Saturday, 11 a.m. to 10 p.m.